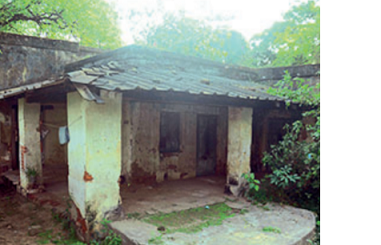 Assam Government has accorded its sanction to release Rs 50 lakh to preserve Lakshminath Bezbaroa’s house at Odisha’s Sambalpur. Assam Chief Minister Sarbananda Sonowal on Friday gave his assent to the State Government’s efforts in preserving the house. A communiqué has also been dashed off to the Government of Odisha to this effect which also stated that the Government of Assam is ready to bear any additional expenditure for the preservation of the heritage house at Sambalpur. It may be noted that under the instruction of Chief Minister Sonowal, a State Government team led by Cultural Affairs Minister Naba Kumar Doley and CM’s media advisor Hrishikesh Goswami with a letter from the CM visited Odisha and met Chief Minister Naveen Patnaik along with Cultural Affairs Minister Ashok Kumar Panda and the Chief Secretary on October 31 last year. They also signed an agreement with the Deputy Commissioner of Sambalpur in presence of a few eminent personalities belonging to culture and journalists. Chief Minister Sonowal also talked to his Odisha counterpart Naveen Patnaik over phone and sought Odisha Government’s support to preserve the house. In view of the requests of Sonowal and considering the inherent emotions of the people of Assam associated with the house, Odisha Government has already put its stamp of approval for the preservation of the house. It has also stated that any additional amount required for the purpose would also be sent to the Government of Odisha. Meanwhile, the Government’s intention of acquiring the house of Dr Bhupean Hazarika at Tollygunge in Kolkata has progressed well in the right direction. Cultural Affairs Minister Naba Kumar Doley and CM’s media advisor on November 1 last year held a discussion with the owner of the house Sushil Kumar Dangi at Assam House, Kolkata an agreement was also signed with the owner at Guwahati for transfer of possession of the house. The proposal would be introduced in the State Cabinet for its approval to acquire the Dr Bhupen Hazarika’s house by Government of Assam.